Inadvertently deleted contacts on your Samsung Galaxy S4? Lost contacts list after rooting HTC One? Nothing is more frustrating than losing your important contacts- your best friends, your mom, your boss - off of your Android phone. Take it easy! You contacts are not really gone, you can retrieve lost contacts on Android phone. Where can We Store our Contacts? The steps vary depending on the location you use to store your Android phone. Therefore, let's figure out where you stored your contacts first and then find the most appropriate way to recover Android phone contacts. Actually, you can save contacts on your Android phone, SIM card or Google account. How to Recover Deleted Contacts from Android Phone Internal Memory? How to Recover Deleted Contacts from Android Phone SIM Card? 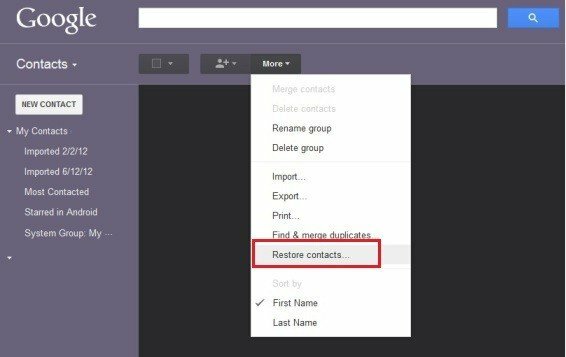 How to Restore Android Contacts from Google Account? Someone prefer to the traditional method – Save their contacts on Android phone internal memory. It's fine. Below are pros and cons. Pros: You can format your phone if you're planning to recycling or disposing of it. Compared with SIM, it can hold almost all info about contact: picture, email, notes, multiple number in one contact, contact link to Facebook account, etc. Cons: Can't sync to Google/Gmail. 1. Connect your Android phone to your PC, and run the software. 2. If you have not installed USB driver on this computer before, a hardware update wizard will pop up and install it for you. Follow the instruction for the installation. 3. 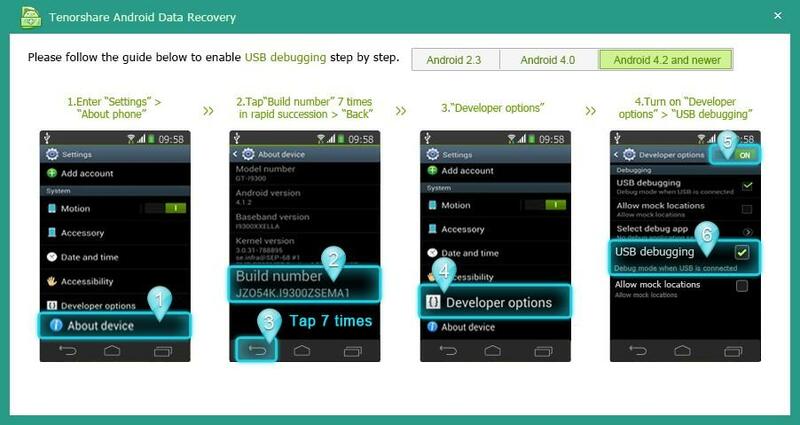 Enable USB debugging and turn on USB storage, as the guide on the software shows. Please note that the steps vary in different Android versions, it is suggested to see version of your Android first, then choose the right guide. 4. Click "Next" after your Android phone has been detected. 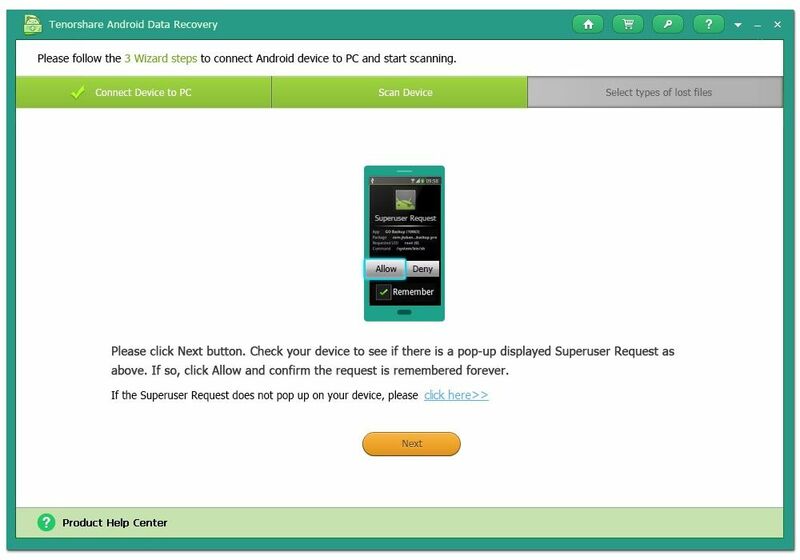 Tap "Allow" on your phone when Superuser Request pops up on your phone. Then click "Start" and select "Contacts" on the software interface. 5. After the scanning is done, the recoverable data will be displayed. Select to preview, then hit "Recover" to undelete the contacts, and choose a location to save the contact list on your computer. It is not so recommendable to save contacts on SIM card, but some people indeed do so. See its advantages and disadvantages. Cons: SIM cards don't hold all the info your phone does; if you restore contacts from SIM you usually lose joined contacts, long names, some data, etc. If you deleted contacts on SIM card, even worse, left your Android phone in a taxi, all those phone numbers are gone. Cellphone carriers like Verizon Wireless, T-Mobile, AT&T and Sprint caught on to this problem, and all of them now offer solutions that make it a cinch for you to automatically back up your cellphone contacts. So contact your carrier to recover lost contacts on Android phone SIM card if you have ever used its mobile backup facilities. Below is the basic information of backup service. Verizon uses Backup Assistant, a free service as long as users are registered online at My Verizon (MyVerizon.com); otherwise it costs $1.99 a month. T-Mobile's service (my.t-mobile.com) is also free, and works on the majority of phones currently sold by the company, but not all older models. Its service was originally called T-Mobile Address Book, but is now called Mobile Backup. AT&T charges customers $2 a month for backup, called Mobile Backup as well. Sprint's backup offering (sprint.com/services) is a bit more confusing in that it has three types of service depending on your phone type: Wireless Backup is the name of its $2 monthly service that applies to a majority of the carrier's phones; for six of its newest phones, Sprint Mobile Sync, a free service, will work; for Nextel phones, MyNextel Address Book is available, and it costs $5 a month. Syncing contacts with Google account comes in handy if you need to recover lost or corrupt contacts. 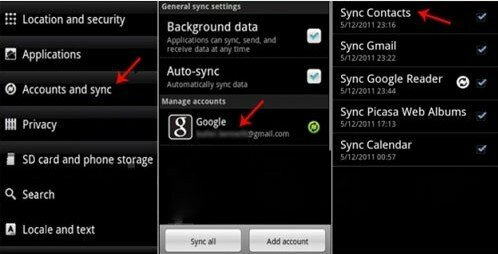 Pros: Do everything like phone, and sync and restore all Android devices and useful for all Google services. Cons: Need to provide a Google account. Before moving to the tutorial guide, you need to make sure that your contacts are linked with Google Account and have ever synced your contacts with Google account. 1. 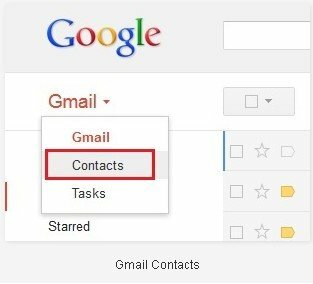 Log in to Gmail and click on Contacts. 2. Click on the "More actions..." menu and then "Restore contacts...". 3. Choose a time frame within the last 30 days, then click "Restore." 4. 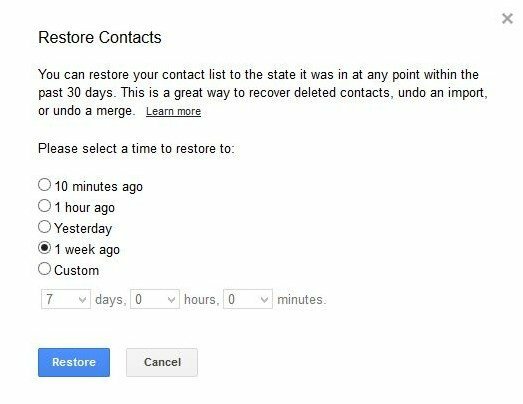 Now you have restored the deleted contacts on your Gmail account, then you need to do is to sync all these contacts on your Android device with Google. That's it, you your deleted contact is restored on your device. 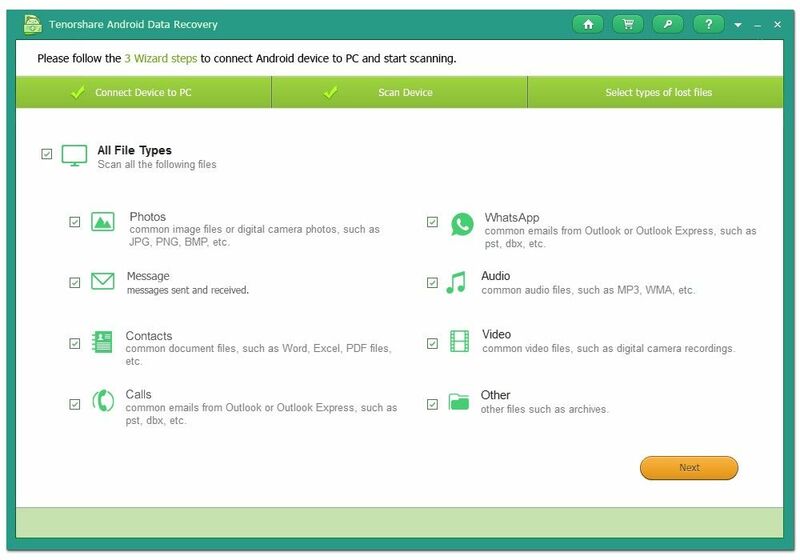 In a conclusion, no matter where you stored your contacts, Android phone, SIM card or Google account, you can recover lost contacts on Android phone easily and quickly. Do you have any comment on this topic? Just share with us below. 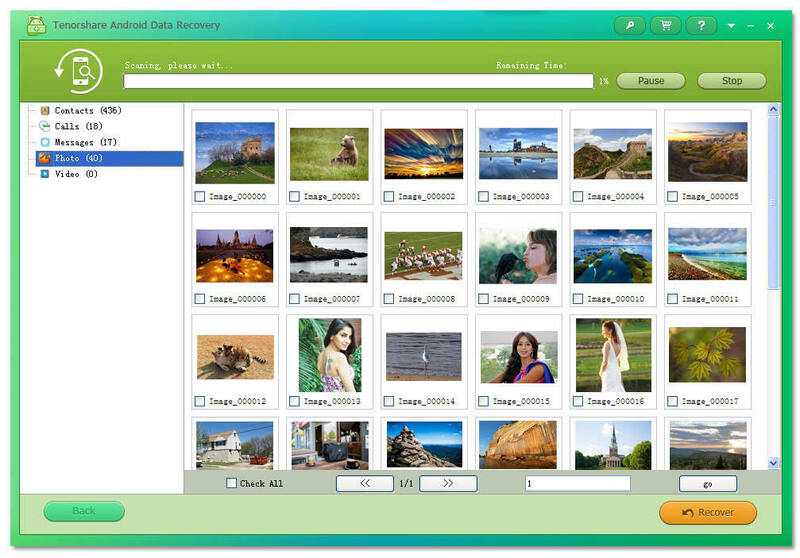 Best Android Data Recovery Solution -- Get back Lost Contacts, Photos, SMS on Your Android Device.